Mini-Motion Home Run King from Aptus Games lets you step up to the plate with your bat in hand. 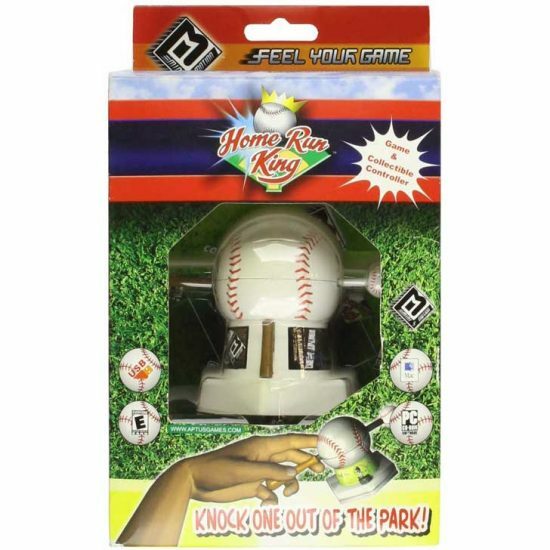 The Home Run King controller is a collectible, small-scale bat and ball that lets you take a swing and knock one out of the park, or send a blistering fastball by the batter. After the game, head over to the Mini-Motion online VIP Clubhouse to check out the high scores list, interact with other players, and find exclusive content that keeps you in the game. Realistic environment and stadium. Made for Windows Vista / XP, Mac OS X.